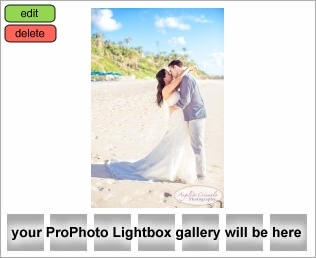 Destination Weddings Trash the Dress Photo on a Caribbean Beach! 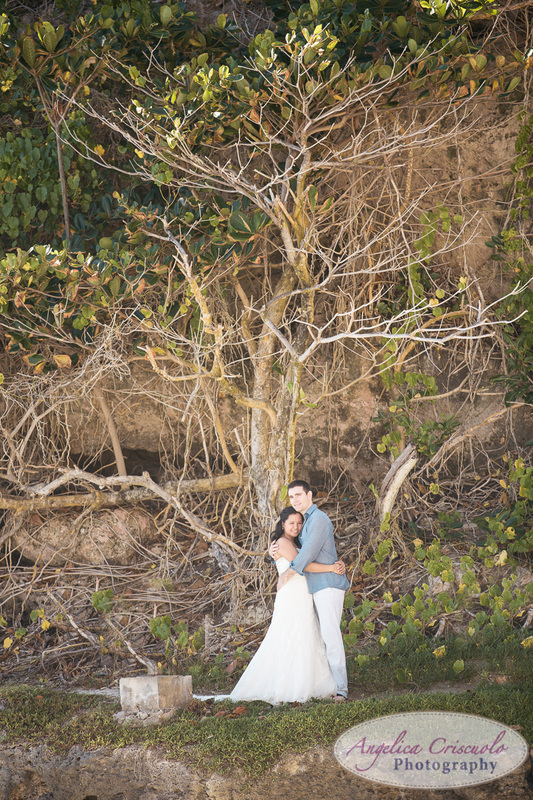 This has been a long time coming, so I’m very excited to share this amazing destination wedding trash-the-dress photo session in the Caribbean. 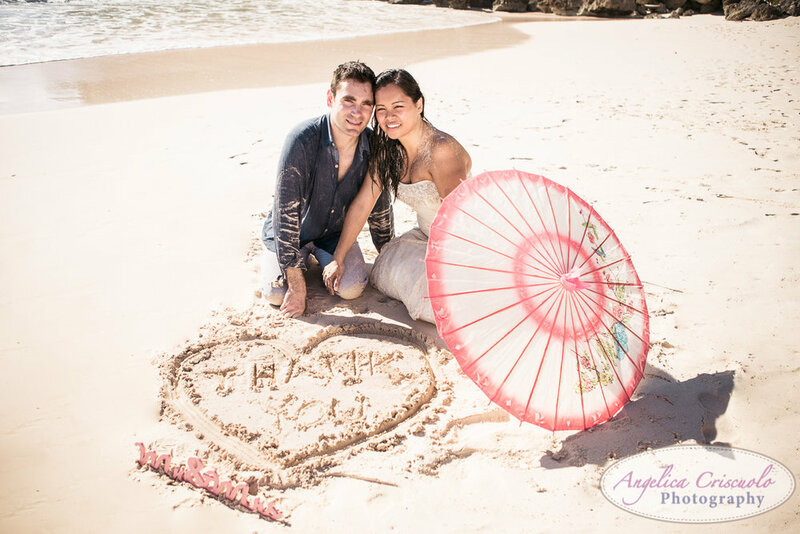 After a fun night of partying the night away in Barbados, Kristy and Phil put on their formal wear one last time to have fun on the white sandy beaches by The Crane Residential Resorts. 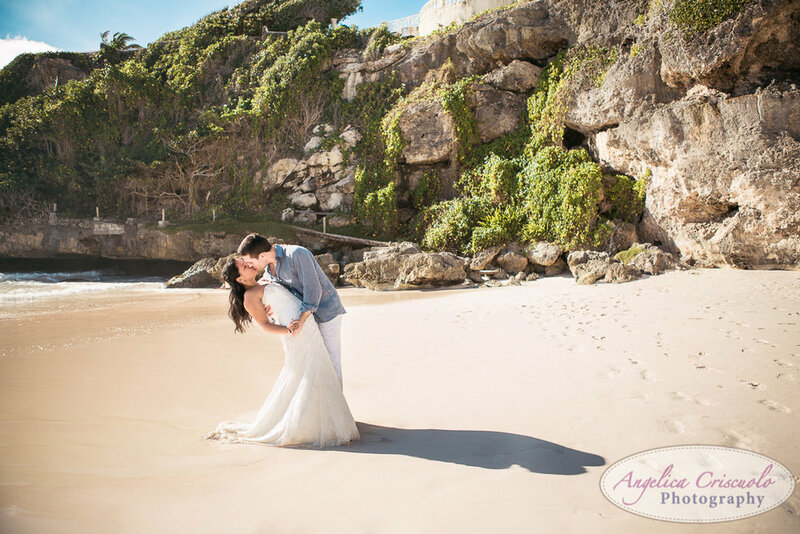 The backdrop of the beach was not just the beautiful blue waters of the Atlantic Ocean, but the gorgeous cliffs of The Crane, which provided a few shades during most of the session. One tip for photographers who shoots destination weddings or any wedding, make sure to note the time sunrise and sunset occurs. It’s easy enough to Google the time so this way you hit the golden hour when shooting on the beach…it’s also a good thing to actually ask the residents the approximate time the sun goes up. I should have done this since what we thought was early was not early enough. Even with the sun already high in the sky, we made do and still had fun. With filters on my lens to help with the surrounding background light, we got amazing shots with the helps of an off-camera lighting set-up and my handy Flashpoint reflector from Adorama. 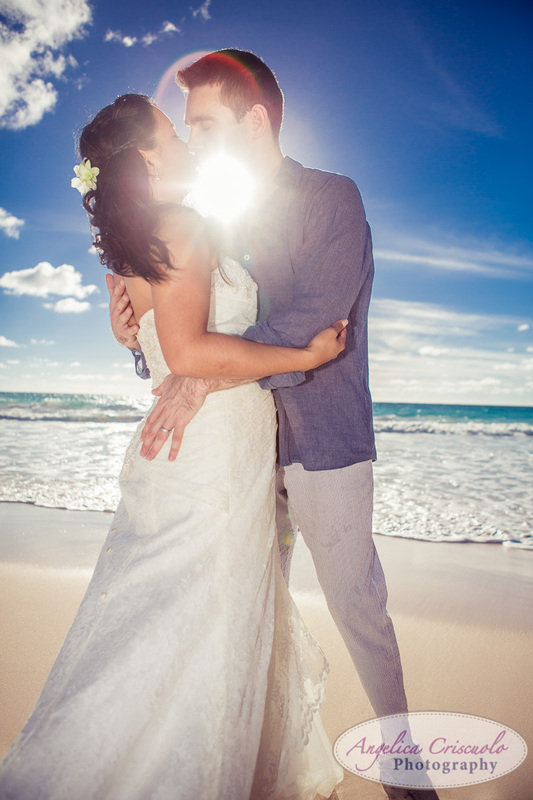 Trash the dress sessions, with a beautiful blue sky and beach backdrop, is always an amazing photo shoot to have. The bride and groom are already relaxed after their big day, so this day after session is just for the two of them. There are no restrictions, no boundaries, and yes they can get dirty and jump in the ocean if they want to...and these two did! Here's to another happy ending and new beginning for a beautiful couple! 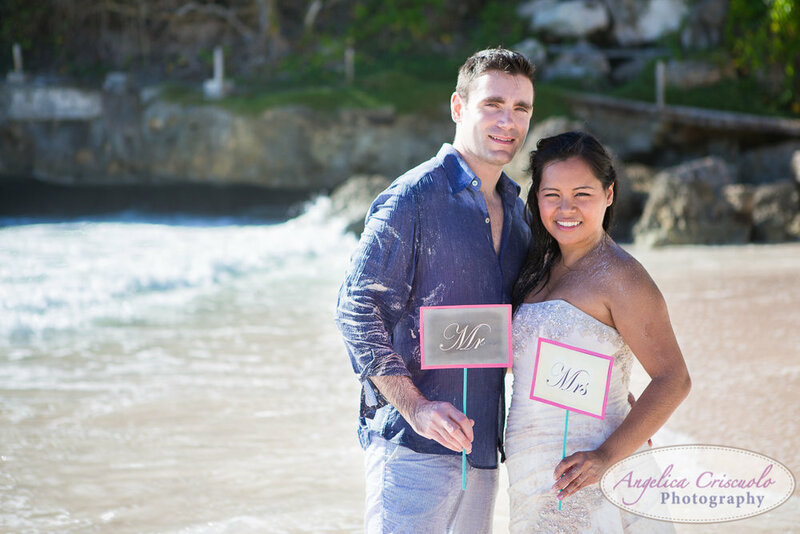 About the Photographer: Angelica Criscuolo is an international photographer that shoots romantic/luxury NYC weddings and travel to NJ, CT, PA as well as San Diego, Los Angeles, San Francisco, Florida and other destination weddings. She also photograph portraits and events with an editorial style. Taking photographs to commemorate memories is what she does best and Angelica is very passionate about her work. A couple's wedding is a personal moment and she ensures each wedding is unique. She also believes portraits are meant to capture your soul and she aims to use her editorial techniques to create images that showcases a person's true self. She continues to mentor with the industry's finest in wedding and commercial photography so her clients only gets the best images. 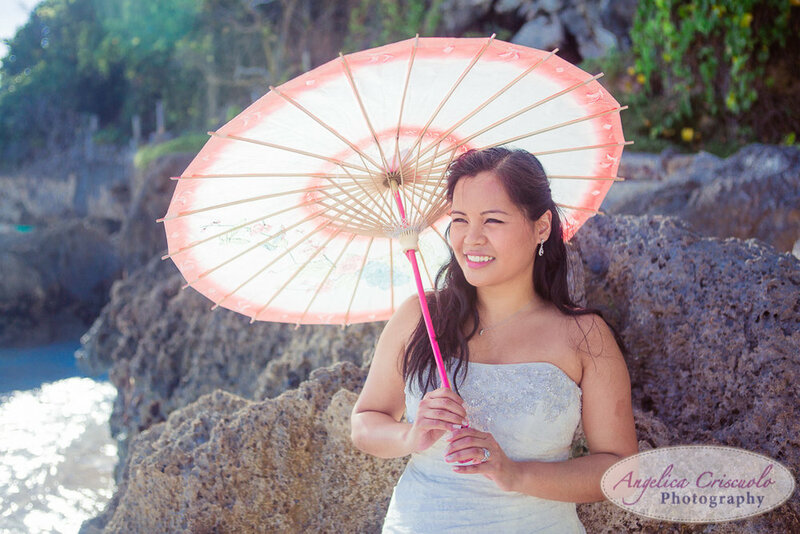 She has been published in many publications including The New York Times, The Philippine News, Style Me Pretty, Engagement 101 Magazine, Merci New York, Lela New York Weddings, Pretty Pear Bride, The Urban Style NY, Un-Jersey Bride, Engaged Wedding Blog UK, The Knot, Wedding Wire, Brides.com and more! She has recently been awarded The Knot's Best of Weddings 2013 and is Wedding Wire rated. Angelica specializes in capturing various vital memories and her goal is to provide the best images for all couples and clients. Angelica is also a proud member of Professional Photographer of America (PPA) and Wedding & Portrait Photographers International (WPPI). She is married to her husband Matthew and they live in Sunnyside/Woodside Queens, NYC. To find out more about Angelica go to www.angelicacriscuolophotography.com or "like" her Facebook page at www.facebook.com/angelicacriscuolophotography. Two Bright Lights Editor's Choice Award 2015 - Angelica Criscuolo Photography - We won again! Doing the Jiggy Dance everyone! We are proud to always serve our brides, grooms, couples, and all our clients and because YOU are just amazing, getting published is a breeze! We THANK YOU for this 2015 Two Bright Lights Editor's Choice Award and to the editors of Two Bright Lights for choosing our wonderful clients to publish. These editors range from The Knot, to Today.com and so much more. Our couples have been published in many publications and we're very excited for this year! So much more to come. "The Editors' Choice Awards honor Two Bright Lights' members whose talent was continually recognized by top print magazine, blog and ezine editors. Their hard work and commitment to getting published places them among the top 5%, from a community made up of over 40,000 photographers and event professionals across 100 countries." To think, there are THOUSANDS of photographers that uses Two Brights Light and my couples have been chosen to be published by editors that uses Two Bright Lights to find amazing photos and stories. 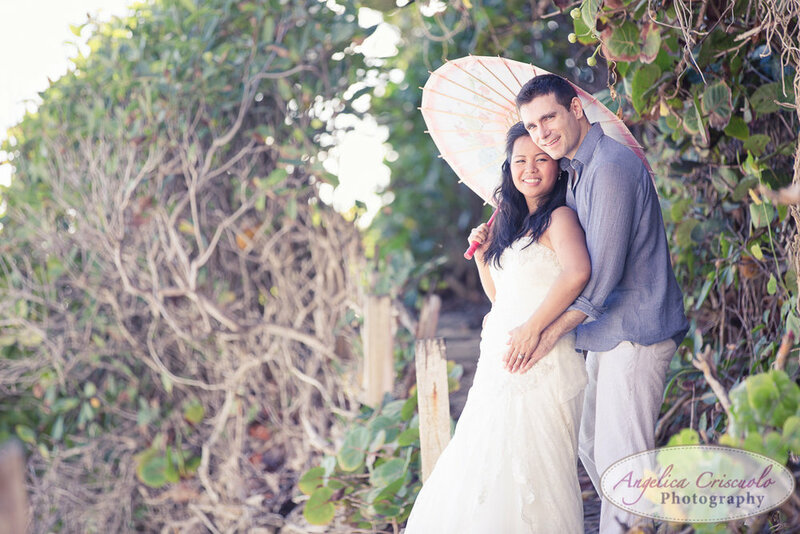 THANK YOU to our amazing clients, couples and brides and grooms in New York (Brooklyn, Queens, Manhattan, Staten Island, Bronx), New Jersey, California, Florida, Caribbean, Hawaii, Long Island, and Destination weddings!!! Thanks again everyone for making Angelica Criscuolo Photography a success! "Like" our Facebook page and follow our newsfeed!